Advanced functionality in SixBit is made possible through our integrated partners and recommended template designers. kdWEBhosting&design creates listing templates, logos and store designs for SixBit sellers. Sally at MiloDesign is a SixBit user who has been creating template designs for eBay sellers and our products for many years. NinjaTemplates creates better eBay Templates & Store Designs in less time, for less money, using the simplest and most streamlined process available. Design, Revise and Install your fully custom, Mobile-Responsive Designs in just 1-2 weeks. NinjaTemplates is fully integrated with SixBit Software to support your Custom eBay Template needs. Get discounted USPS volume rates with no volume requirements with an Express1 account. SixBit integrates with UPS Worldship to print UPS carrier labels and automatically send tracking info to eBay. SixBit integrates with “ShipRush for FedEx” to print FedEx carrier labels and automatically send tracking info to eBay. Use the Endicia Label Server or Endicia Dazzle to print postage directly from SixBit with automatic upload of tracking and shipping info to eBay. Purchase discounted shipping insurance from Shipsurance directly from SixBit. Barcoders.com provides a warehouse management system that integrates with SixBit. Label and locate items in your warehouse more efficiently. Monsoon Commerce has integrated StoneEdge, their popular order management system, with SixBit. StoneEdge users can now pass order information back into SixBit to automatically upload shipping and tracking information to eBay. 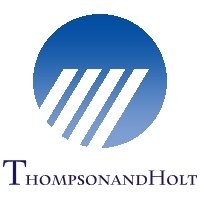 Thompson & Holt provide customized Amazon Appeal letters and Plans of Action for Amazon Sellers who have had their Amazon account suspended. They charge a flat fee and further responses, if requested, are at no additional charge. Instructions are provided on changes to make to selling practices to avoid repeat suspensions. Escalations are handled if required, and the whole process is backed up with support via live chat and email. A typical Seller Account is usually reinstated within 3 days.